Attack 1 : Go Buddy!!! 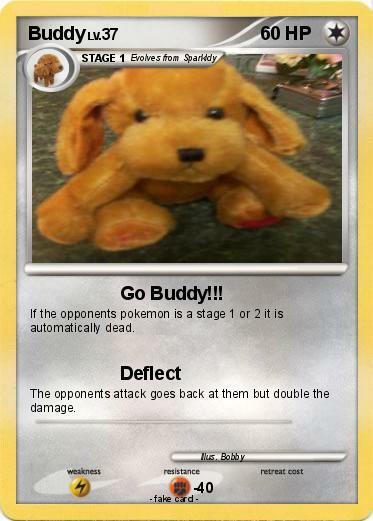 If the opponents pokemon is a stage 1 or 2 it is automatically dead. The opponents attack goes back at them but double the damage.